Behind the rain I can only think all about memories. Although I hope to be able the answer, maybe the rain will never understand. About the increasingly troubled. 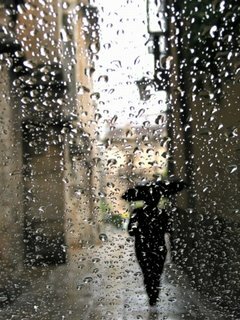 Only rain, which at the moment and the next day is always accompanied. Maybe life is more than just thoughtful. But to move away is feel heavy, because of past memories. Does the rain may help feeling this upset? I'm not sure, because suddenly the day became brighter. And the rain gone without a message.